If you are self-employed or retired when you turn 65, signing up for Medicare Part B is a very simple process. You simply go to the Social Security website, www.ssa.gov, and do it on-line. Medicare allows you to enroll in Part B the 3 months before your birthday, the month of your birthday and 3 months after your birthday. This time period is called your Initial Enrollment Period. 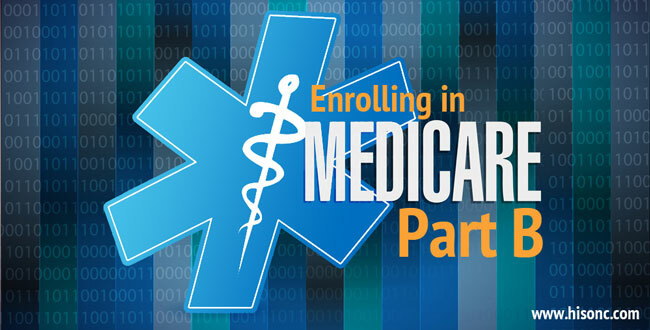 To ensure they have their Medicare cards as soon as possible I encourage my clients to go on-line to enroll in Part B during the month they are first eligible to apply. Individuals who receive their Social Security checks before 65 are automatically enrolled in Medicare Part B. Unless your annual income is higher than $80,000 as a single person or $170,000 as a married couple, you will pay $135.50 per month for Part B. If your income is higher than these amounts you will pay more. Unless you are fortunate enough to have worked for a company or government agency which provides lifetime health benefits, your choices are either a Medicare Advantage plan with drug coverage or a Medicare Supplement and drug plan. Either choice is protection against unlimited medical expenses. To enroll in a Medicare Supplement or Advantage plan you are required to be enrolled in both Medicare Part A and B. Often people work past 65 (or have a spouse who is working) for a company with 20 or more employees that provides them with health insurance without enrolling in Part B. When these benefits are lost due to retirement, death of a spouse, divorce or layoff, signing up for Part B is more complicated if you are past the Initial Enrollment Period. Any of these scenarios are considered a SEP (Special Election Period). In this type of SEP one must fill out a paper application for Medicare Part B, and Section A of the Request for Employment Information form. Your (or your spouse’s) employer must complete Section B of this form. The Request of Employment Information form Section B is needed to confirm you have had credible health insurance coverage during your employment. This is an important part of the process which will prevent you from being penalized for not enrolling in Part B when you first turned 65. These forms can be found at your nearest Social Security office or going to their website, www.ssa.gov. Once completed they should be mailed or hand carried to the nearest social security office. For additional information contact Social Security at 1-800-772-1213.